The potential issues surrounding the use of fossil fuels, particularly in terms of climate change, were considered earlier than you may think. It was a Swedish scientist named Svante Arrhenius who was the first to state that the use of fossil fuel could contribute to global warming, way back in 1896. The issue has become a hot-button topic over the course of the last few decades. Today, there is a general shift towards environmental awareness and the sources of our energy are coming under closer scrutiny. This has led to the rise of a number of alternative energy sources. While the viability of each can be argued, they all contribute something positive when compared to fossil fuels. Lower emissions, lower fuel prices and the reduction of pollution are all advantages that the use of alternative fuels can often provide. Here we examine eleven of the most prominent alternative fuel sources and look at the benefits they offer and potential for increased uptake in the coming years. Unlike other forms of natural gas, hydrogen is a completely clean burning fuel. Once produced, hydrogen gas cells emit only water vapor and warm air when in use. The major issue with this form of alternative energy is that it is mostly derived from the use of natural gas and fossil fuels. As such, it could be argued that the emissions created to extract it counteract the benefits of its use. The process of electrolysis, which is essential for the splitting of water into hydrogen and oxygen, makes this less of an issue. However, electrolysis still ranks below the previously mentioned methods for obtaining hydrogen, though research continues to make it more efficient and cost-effective. While tidal energy uses the power of water to generate energy, much like with hydroelectric methods, its application actually has more in common with wind turbines in many cases. Though it is a fairly new technology, its potential is enormous. A report produced in the United Kingdom estimated that tidal energy could meet as much as 20% of the UK’s current electricity demands. The most common form of tidal energy generation is the use of Tidal Stream Generators. These use the kinetic energy of the ocean to power turbines, without producing the waste of fossil fuels or being as susceptible to the elements as other forms of alternative energy. Biomass energy comes in a number of forms. Burning wood has been used for thousands of years to create heat, but more recent advancements have also seen waste, such as that in landfills, and alcohol products used for similar purposes. Focusing on burning wood, the heat generated can be equivalent to that of a central heating system. Furthermore, the costs involved tend to be lower and the amount of carbon released by this kind of fuel falls below the amount released by fossil fuels. However, there are a number of issues that you need to consider with these systems, especially if installed in the home. Maintenance can be a factor, plus you may need to acquire permission from a local authority to install one. This form of energy generation has become increasingly popular in recent years. It offers much the same benefits that many other alternative fuel sources do in that it makes use of a renewable source and generates no waste. Current wind energy installations power roughly twenty million homes in the United States per year and that number is growing. 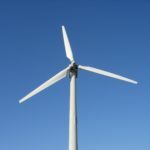 Most states in the nation now have some form of wind energy set-up and investment into the technology continues to grow. Unfortunately, this form of energy generation also presents challenges. Wind turbines restrict views and may be dangerous to some forms of wildlife. At its most basic, geothermal power is about extracting energy from the ground around us. It is growing increasingly popular, with the sector as a whole experiencing five percent growth in 2015. The World Bank currently estimates that around forty countries could meet most of their power demands using geothermal power. This power source has massive potential while doing little to disrupt the land. However, the heavy upfront costs of creating geothermal power plants has led to slower adoption than may have been expected for a fuel source with so much promise. Natural gas sources have been in use for a number of decades, but it is through the progression of compression techniques that it is becoming a more viable alternative energy source. In particular, it is being used in cars to reduce carbon emissions. Demand for this energy source has been increasing. In 2016, the lower 48 states of the United States reached record levels of demand and consumption. Despite this, natural gas does come with some issues. The potential for contamination is larger than with other alternative fuel sources and natural gas still emits greenhouse gases, even if the amount is lower than with fossil fuels. In contrast to biomass energy sources, biofuels make use of animal and plant life to create energy. In essence they are fuels that can be obtained from some form of organic matter. They are renewable in cases where plants are used, as these can be regrown on a yearly basis. However, they do require dedicated machinery for extraction, which can contribute to increased emissions even if biofuels themselves don’t. Biofuels are increasingly being adopted, particularly in the United States. They accounted for approximately seven percent of transport fuel consumption as of 2012. Water again proves itself to be a valuable contributor to alternative energy fuel sources with wave energy converters. These hold an advantage over tidal energy sources because they can be placed in the ocean in various situations and locations. Much like with tidal energy, the benefits come in the lack of waste produced. It is also more reliable than many other forms of alternative energy and has enormous potential when used properly. Again, the cost of such systems is a major contributing factor to slow uptake. We also don’t yet have enough data to find out how wave energy converters affect natural ecosystems. Hydroelectric methods actually are some of the earliest means of creating energy, though their use began to decline with the rise of fossil fuels. Despite this, they still account for approximately seven percent of the energy produced in the United States. Hydroelectric energy carries with it a number of benefits. Not only is it a clean source of energy, which means it doesn’t create pollution and the myriad issues that arise from it, but it is also a renewable energy source. Better yet, it also offers a number of secondary benefits that are not immediately apparent. The dams used in generating hydroelectric power also contribute to flood control and irrigation techniques. Nuclear power is amongst the most abundant forms of alternative energy. It creates a number of direct benefits in terms of emissions and efficiency, while also boosting the economy by creating jobs in plant creation and operation. Thirteen countries relied on nuclear power to produce at least a quarter of their electricity as of 2015 and there are currently 450 plants in operation throughout the world. The drawback is that when something goes wrong with a nuclear power plant the potential for catastrophe exists. The situations in Chernobyl and Fukushima are examples of this. When most people think of alternative energy sources they tend to use solar power as an example. The technology has evolved massively over the years and is now used for large-scale energy production and power generation for single homes. A number of countries have introduced initiatives to promote the growth of solar power. The United Kingdom’s ‘Feed-in Tariff’ is one example, as is the United States’ ‘Solar Investment Tax Credit’. This energy source is completely renewable and the costs of installation are outweighed by the money saved in energy bills from traditional suppliers. Nevertheless, solar cells are prone to deterioration over large periods of time and are not as effective in unideal weather conditions. As the issues that result from the use of traditional fossil fuels become more prominent, alternative fuel sources like the ones mentioned here are likely to gain further importance. Their benefits alleviate many of the problems caused by fossil fuel use, particularly when it comes to emissions. However, the advancement of some of these technologies has been slowed down due to the amount of investment needed to make them viable. Through combining them all we may be able to positively affect issues like climate change, pollution and many others. Please do contribute to the discussion below and let us know your thoughts on alternative energy sources in the comments section or by sharing this article on social media. 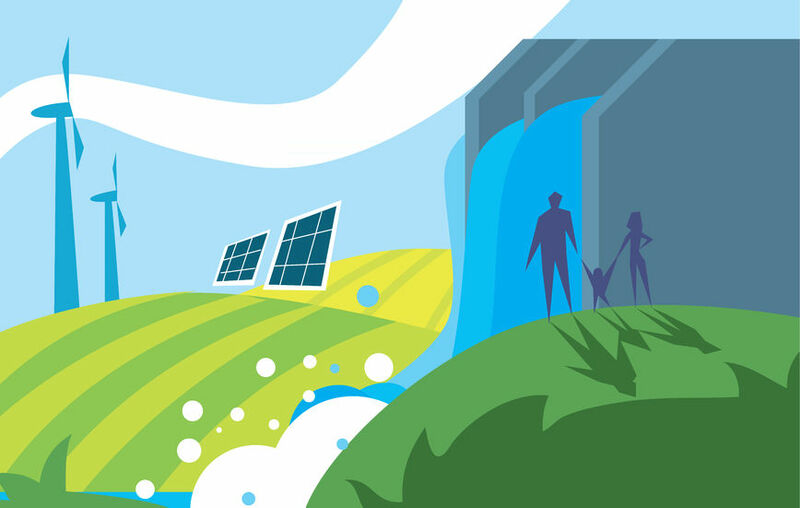 Renewable Resources Coalition is a research-based environmental publication, covering a range of topics from Solar, Wind, & Nuclear energy - to various social & economic issues that affect our planet.